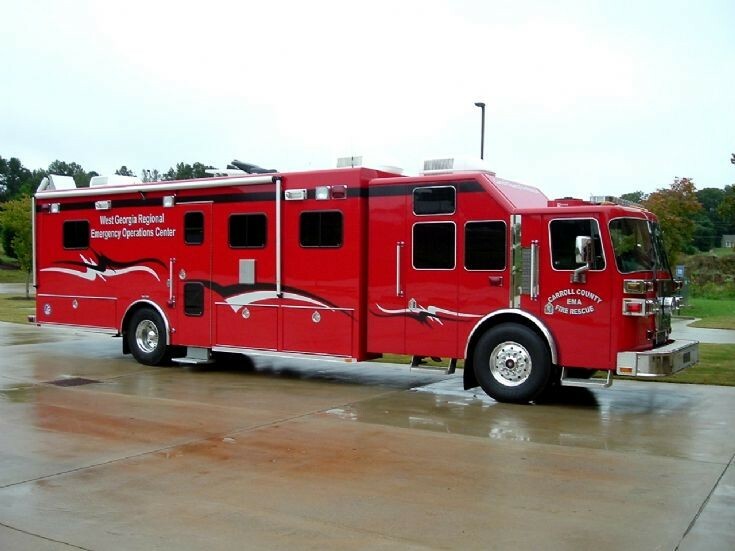 Picture is of a Carroll County Fire Rescue Sutphen Command Truck. A very long ICU, with what looks like a ten-person cab for some reason. The bird-like cartoon graphics are a bit odd, too. Added by Rob Johnson on 14 August 2014. Hi Rob! It is big enuogh to be a ELW 3 in a big german city! ELW 3=ENIZATS LEIT WAGEN 3! Added by Anders Fallström on 28 August 2014. But not a double decker like the Karlsruhe example on this site! Is there an international competition going on to see which service can have the most ridiculous unit? Added by Rob Johnson on 28 September 2017.